Dale Miller was hired by Purdue University as Director of Theatre in 1976. He held the position, on and off, until 1998. He came from the Chicago area where he had held positions with Northwestern University, the Chicago Opera Theatre and founded the Theatre and Dance Department at Barat College. In 1969 he was named the first Artistic Director of the Canterbury Theatre in Michigan City, Indiana. With his wife Vergene as his leading lady, he ran that theatre for two seasons. While in Chicago he appeared in many professional shows. During his tenure at Purdue he enlarged the guest-artist program, created the Theatre Guild, started a graduate program in Stage Management and ran the Purdue Professional Summer Theatre. 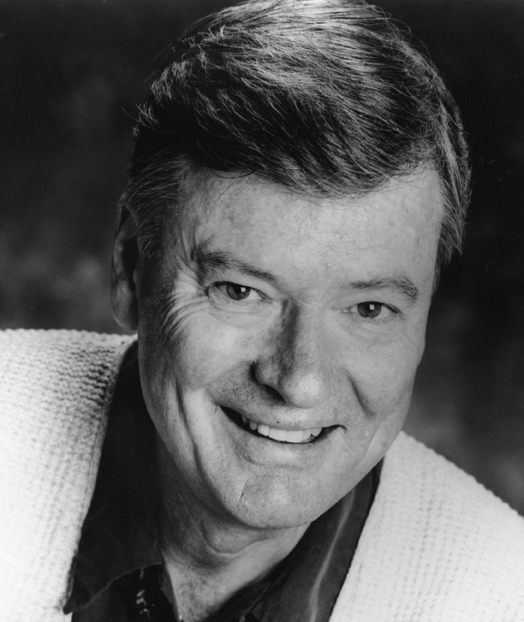 He also acted at IUPU Fort Wayne, directed an opera at DePauw University, a play at the Civic Theatre of Indianapolis and appeared in shows at the Indianapolis Repertory Theatre. In 1983 he started research on the Battle of Tippecanoe. In 1989 the play opened with Miller directing, co-authoring and producing THE BATLLE OF TIPPECANOE in an amphitheatre of his own design. A member of Actors’ Equity since 1968 he has appeared on many professional stages including the St. Louis Municipal Opera, the Pheasant Run Theatre in Chicago, the Pabst and Center Stage Theatres in Milwaukee, the North Shore Music Theatre in Beverly, Massachusssets, and the Indiana Repertory Theatre. These “gigs” allowed him to work with many stars of the American Theatre including Ethel Merman, Joan Bennett, Betty White, Dennis Franz, Florence Henderson, Hans Conried, Janet Blair, Douglas Fairbanks Jr., Eddie Albert and others. As a member of SAG and AFTRA he has appeared in dozens of television commercials, made industrial films and appeared in brochures and ads as a print model. Locally, he was on the first board of the Tippecanoe Arts Federation and later served as its President. He has served on the Board of Governors for the Tippecanoe County Historical Association, received a Community Service Award for his work with the Red Cross, served on numerous Purdue committees and is currently on the Board of the Long Center for the Performing Arts in Lafayette. In 1996 Rotary International selected Dr. Miller to be part of the “Group Study Exchange Team” representing District 65690 of Indiana in New Delhi, India. He represented Purdue Theatre as part of an acting company, which appeared in the Theatre Festival in Arezzo, Italy in 2005. His body of work, which includes nearly 500 plays, has produced a number of awards including “Who’s Who Among American Teachers,” “Wall of Fame,” Tracy schools, ” Outstanding Educator” by the Indiana Theatre Association, an Alumni Achievement Award from Augustana College, and being named a “Distinguished Hoosier” by Governor Mitch Daniels in 2006. His final award was the Legacy Award from Purdue Theatre.